The only good answer is a federal government that stops mass-producing so many vested interests. A rebellion against failed elites—that’s the thoughtful explanation of the Donald Trump phenomenon. And it’s probably true in some sense. Necessary to add, though, is that “rebelling against elites” is a term to dignify 60-year-olds shaking their fists at Mommy and Daddy. Marketing by definition is selling us ideas that agree with our intuition. The opposite of marketing is making us think. Green energy is marketing. 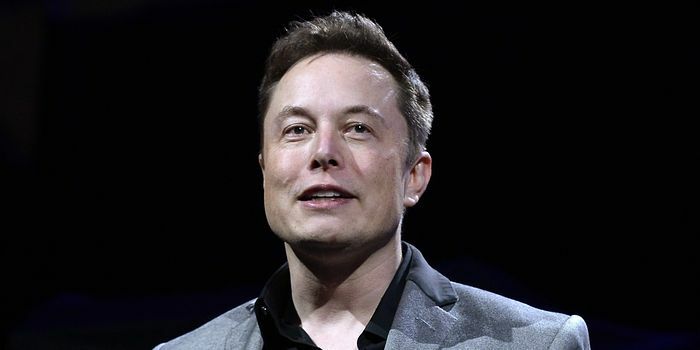 People like Elon Musk are not selling solutions to global warming, they are selling $100,000 T-shirts that say “I’m doing something about global warming.” Even then, he requires involuntary exactions from taxpayers to make his T-shirt business viable. Mr. Musk knows better but he plays along because it’s working very well for him. That’s what elites do. His environmentalist supporters play along because public policy victories are precious and don’t bear close inspection to see if they are real victories. Politicians play along because it accommodates their donors and generates crowd-pleasing sound bites and headlines, and that’s good enough for them, even if the real-world effects are nil or negative. Labor unions and their political allies. Workers in America don’t get higher wages and more opportunity because Washington tilts the legal system in favor of labor unions. Workers see their conditions improve when lots of employers are competing to hire them. But the slow pace of economic growth, the sharp decline in new business formations—these factors won’t be corrected by what the New York Times misleadingly calls President Obama’s “championing of worker rights,” which have nothing to do with workers and everything to do with the privileges of the labor organizations that are key funders of the Democratic Party’s electoral ambitions. Central bankers. Ben Bernanke (weakly), Mario Draghi (weakly), Janet Yellen (weakly to the point of inaudibleness) have all said monetary policy can’t be the sole fix for the Western world’s slow-growth malaise. Yet their words are unheeded so they settle for being enablers of their fellow elites’ flight from responsibility. Monetary policy has become our era’s great crutch so leaders everywhere can go on catering to the same old organized interests instead of undertaking necessary reforms. Politicians. It is impossible to think what Hillary Clinton stands for in politics, unless you’re satisfied with the answer “women.” She and the Clinton Foundation collect millions from fat cats while she claims to be the scourge of fat cats and friend to the little guy. Who in politics does not claim to be friend to the little guy? Mrs. Clinton is monotonously carrying forward a family business model built on global political celebrity, and on leveraging political celebrity in return for dollars, as the Clinton family foundation exists to do. Business leaders. Management is a pragmatic exercise, so of course business leaders lobby for government policies that reduce their risks and hamper their competitors or prospective competitors. “Rent extraction” is economist-speak for the tax in many forms that government places on people trying to go about their business and engage in voluntary transactions. Rent extraction is the activity that defines elites. Rent extraction in all its forms reduces productivity and economic growth for everyone. Do you find yourself living in a nation where the elites are a disappointment? The question is a redundancy, but there is a solution: Hardheadedly reduce the scope of rent extraction by shrinking the ambitions and powers of government. Posted on September 7, 2015, in Postings. Bookmark the permalink. Leave a comment.